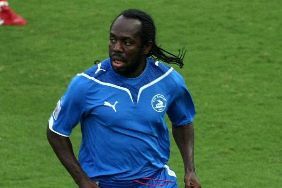 Japan 93 midfielder,Wilson Oruma is leaving the Greek club,Kavala,Greek website,sportena.com is reporting. The Nigerian has been told by the club management to accept a salary cut which he bluntly refused to. The player met with the Chairman of Kavala FC,Stavros Psomiades to talk about renewing his contract but a deal was not agreed on. Oruma was not named in Nigeria's provisional World Cup squad but played at the 1998 edition and was top scorer at the Under 17 World Cup in Japan which Nigeria won.